Over the weekend, we were able to get our herb garden planted. We have two plants have survived from last year's herb garden. It wasn't the weather as much as the monster puppy knocking pots over and eating plants this winter that took out most of our remaining herbs. 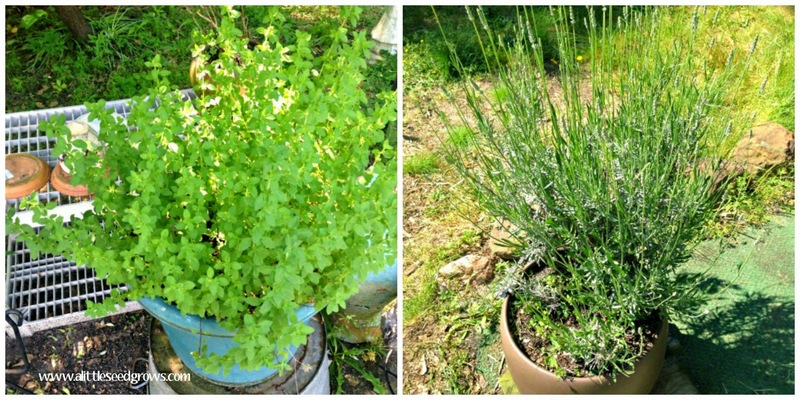 Luckily, these oregano and lavender plants are thriving. This years additions include the [in the orange planter] spearmint, silver thyme, pineapple sage and spicy oregano. 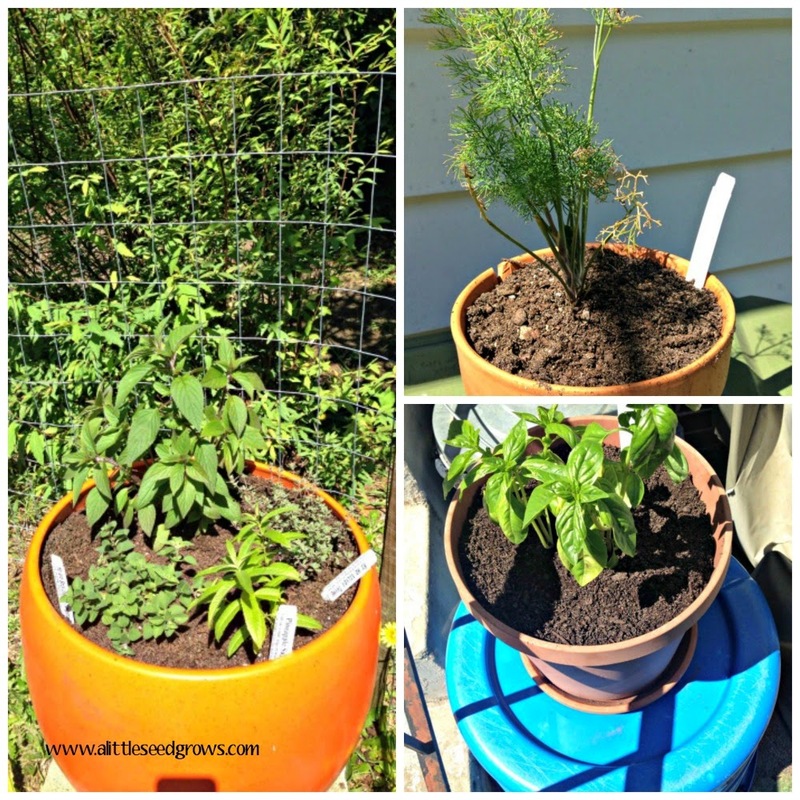 Growing in their own pots are dill and Italian basil. The dill had to come inside because it won't survive our heat and sun. Also, check out the start to David's cucumber trellis. We definitely still have room for more herbs. What would you add to the garden?